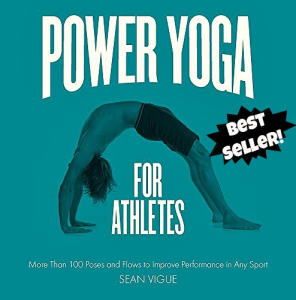 I’m proud to bring you my new and groundbreaking 30 Day Power Yoga Challenge ! Begin any day of the week and ‘check in’ in the comment section each time you train with me (I LOVE to hear from you!). Share and do this challenge with friends, family, classmates, teammates, coworkers, coaches and anyone else you interact with on a daily basis. If you’re looking for something a little slower start my 7 Day Yoga Challenge today or take it nice and easy with my 7 Day Beginner Yoga Challenge! 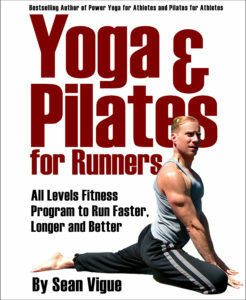 Oh, and for the real serious among you I want you to join our 30 Day Pilates Challenge. May I mention it’s 30 days of total body Pilates Abs workouts which NEVER repeat? Thank you for letting me get that our there. Please check in below each video, Subscribe to never miss a workout, smash the “Like” button, Share each video with at least 13 people and Donate to support Sean. For the perfect on-the-go training manual to use with this challenge click here! Oh, and when you finish each workout have a listen and subscribe to my new Podcast, Fitness Unleashed with Sean! Week Two – How are you doing and feeling? We’re building strength, stamina, flexibility, balance and endurance. If you’re feeling extra ambitious you can double this challenge with my 30 Day Pilates Body Challenge! Or, jump into my official online training platform, Sean’s Vault, for a free two week trial. Friday (day 12) – Power Yoga in the WILD! Week 3 – keep me posted after each workout by checking in! Did you catch the BIG NEWS in episode #4 of my Podcast? Listen here. Week 4 – Let everyone know about this fun and sweaty challenge you’ve been smashing and keep me posted on Facebook and Instagram! Day 31 – KILLER Power Yoga Workout in my Yard! Day 34 – RELENTLESS Power Yoga Warrior Strength Workout – what a title! Day 35 – CRAZY 70 Minute (!!) Power Yoga Training w/ extra Pilates, Weight Loss and More Good Times! The runner’s secret weapon will be all yours! Got it on my second try, those transitions are rough when you’re not expecting them! Gonna cool down with a Sean is 40 – Intermediate. This is the first time I have posted anything to you. I just thought I would drop you a note to say thank you. I was sitting with a friend in Monterey, CA complaining about the fact that I was getting too stiff and sore to exercise any more. She said to me, “have you tried Sean Vigue?” Other than when my wife said, “I do”, that little question was possibly the best thing anyone has ever said to me. I am a Scottish 51-year-old gent who played Rugby Union from the age 10 through to 33 years old when I hung up my boots. Having taken multiple significant knocks during my time as a Rugby player, other than walk my dog Alfie, I had given up on exercise due to the pain in my lower back and left hip. On March the 7th 2018, in my Monterey hotel room, I tried your 7-day beginners program for the first time. I followed it for a month before starting the 7 day power yoga program. I am now repeating your 22-day program. The simplicity of how you lead someone into power yoga has changed everything for me. Four months ago, Pigeon pose was an absolute impossibility; today it is my favourite stretch. I tell everyone I meet about your You Tube online tuition. I recommend you to all my friends here in Scotland, then to all I meet when talking about exercise while I am travelling with my job. For me you have turned back the clock at least 15 years, so thanks again ☺ I look forward to continuing to see you on a daily basis in whichever location I happen to be. Thank you for your great videos. Just a piece for info for you. You always breathe in through the nose and out through the mouth because your nose produces Nitrous Oxide which is good for the body. Husband and I finished day 1 yesterday and now about to do day 2!